Four goals. That was all what separated champions Paris Saint-Germain from second-place Montpellier HB after 26 matches last season. And add HBC Nantes, also a VELUX EHF FINAL4 2018 participant, and there is no doubt that the French league is approaching another tight battle in the 2018/19 season, which starts Wednesday. 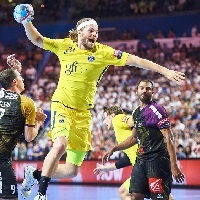 Including three teams which played at the final weekend of the VELUX EHF Champions League in May, the Lidl Starligue will present the fans in France with another season of top-level handball. And the outcome looks more open than in previous seasons, when PSG always started as the obvious favourites. In Nantes, coach Thierry Anti has already set the tone for the new season. Anti has kept his group almost intact, apart from adding a third right back (Florian Delecroix), a young local player on the wing (Lucien Auffret) and, last but not least, Spanish left wing Valero Rivera, back in the city after two seasons in Barcelona. Also in Montpellier changes have been rare. However, one of the most important players left as Ludovic Fabregas joined Barça Lassa and was replaced by Fredric Pettersson. The Swedish line player has some Champions League experience under his belt with IFK Kristianstad, and did well in the preseason preparation period. Contrary to Nantes and Montpellier, PSG choose to change a lot of things. A new coach (Raul Gonzalez) and a couple of new players (Henrik Toft Hansen, Kim Ekdahl du Rietz, Viran Morros) have arrived, but the ambitions remain the same: to win everything they can. The summer has been marked by the arrival of numerous Scandinavian players. Aix, which will take part in their first ever EHF Cup season, signed no less than four players from Denmark and Sweden, while Toulouse picked two, including the second best scorer of last season’s VELUX EHF Champions League, Markus Olsson from Skjern Håndbold. Aix and Toulouse are part of a wider group of teams which are expected to be in the race for the European tickets, alongside 2014 French champions Dunkerque and EHF Cup 2017/18 Semi-finalists Saint-Raphaël.